The trailer has been released for the latest collaboration between pro wrestling organization WWE and Warner Bros teaming WWE superstars with characters from the Hanna Barbara cartoon stable. Following up on team-ups with Scooby Doo and The Flintstones, the pro wrestlers will meet The Jetsons this time. The Big Show, Alicia Fox, Sheamus, Seth Rollins, The Usos, and, of course, Roman Reigns all star in the film, which centers around Big Show, released after being frozen in a block of ice by George Jetson, defeating a bunch of robots to become world champion and then deciding to conquer the entire world. The Jetsons must then travel back “100 years” to our times to grab current WWE Superstars and bring them into the future to stop The Big Show, which seems like a waste of time, since he’s usually gassed in under five minutes. They could have just waited him out. Though the film is apparently set 100 years in the future and is a silly cartoon cash grab, we have no doubt its true purpose is, like all things, to get Roman Reigns over. 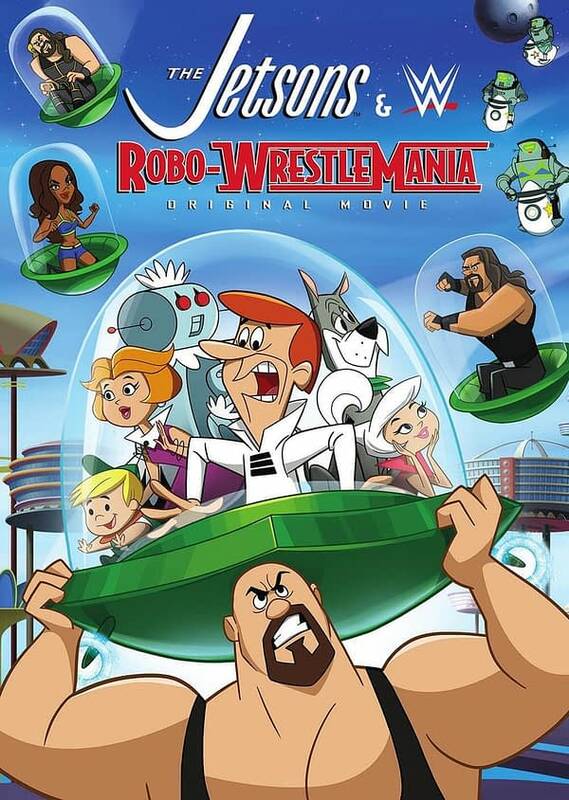 The Jetsons & WWE: Robo-Wrestlemania is set for a wide theatrical release in February. Ha ha, just kidding, it’s out digitally on February 28 and on DVD and Blu-Ray on March 14.